I recently purchased this new saw from Lie Nielsen. 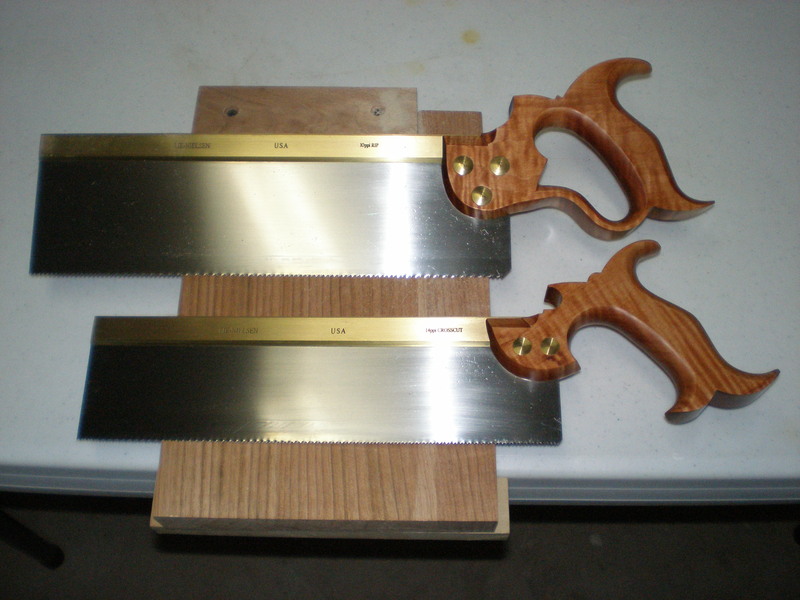 The close handled saw in the first photo is a rip tenon saw I also purchased, which I will also blog in another post. Lie Nielsen lists this saw as a carcass saw. You can check out all the specs at their site. I plan on using this saw for cutting small pieces across the grain using my bench hook, cutting miters, and cross cutting tenon shoulders. What a beautiful saw. That curly maple is gorgeous, and it blends so well with the folded brass back. When I first picked up the saw, the first thing I noticed was the weight. For a little saw, it surprised me. It feels substantial, and it is…solid. My first couple of runs through a board were just matter of fact. I actually was disappointed and thought about sending it back. Then I realized something…I was doing it wrong. When Lie Nielsen says not to put any weight on the saw, they mean it. I took the weight off the saw and let the tool do the work. The result was amazing. What a beautiful and fun tool to use…effortless. This saw cuts and starts so easily. It cuts straight following the kerf very nicely. The resulting cut is smooth, straight, and easy to keep square. Pretty much all you have to do is keep it square to the kerf and the saw does the rest. I’ve been using this saw on my latest build (Nicholson bench), and couldn’t be more pleased. I can’t find anything negative to say about this saw. I can’t wait to cut something else. 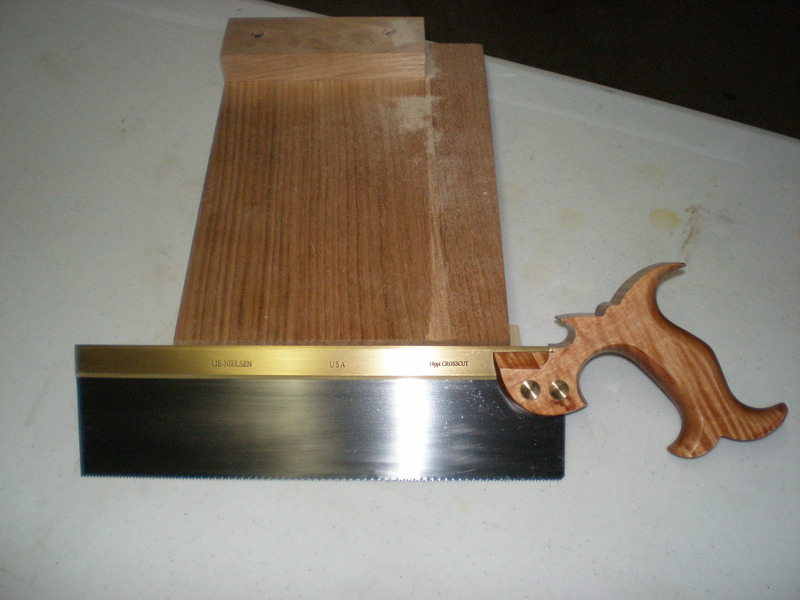 This entry was posted in hand tools, tool review, VCF, woodworking and tagged hand tools, tool review, woodworking by villagecustomfurniture. Bookmark the permalink.